Alexzenia Davis, a native of Brooklyn, New York, began her career as a freelance journalist spotlighting up-and-coming artists and entrepreneurs. Now, with a new location, fresh outlook, and crafted skill, she will embark on a new journey with Creative Loafing. Davis has worked with SOTAC Magazine, Nitram Knarf Magazine, and has seen her work published on various online news publications including Rushmore Drive. 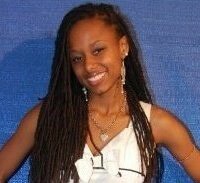 A student of Johnson C. Smith University, Davis will receive her bachelors degree in communication arts/journalism in May 2010.